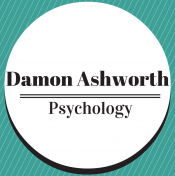 Posted byDr Damon Ashworth April 16, 2019 April 16, 2019 Posted inPsychology, Public HealthTags: blog, CBT, Depression, growth, Happiness, Insights, life, mental health, mental illness, Psychology, Self-help, self-improvement, strategies, treatment, Vanuatu, writing8 Comments on What is Depression and How Can We Manage It? Posted byDr Damon Ashworth February 5, 2019 February 7, 2019 Posted inPsychology, relationshipsTags: blog, challenges, growth, Insights, life, mental health, personality, Psychology, relationships, self-improvement, strategies, success, writing45 Comments on To Trust or Not to Trust? How Do You Deal With Your Problems? Posted byDr Damon Ashworth July 25, 2018 December 13, 2018 Posted inPsychologyTags: blog, challenges, life, mental health, Psychology, relationships, Self-help, self-improvement, strategies, success, writing8 Comments on How Do You Deal With Your Problems? Posted byDr Damon Ashworth April 30, 2018 April 30, 2018 Posted inPsychologyTags: Australia, emotions, growth, Happiness, Insights, life, mental health, Psychology, quotes, relationships, Self-help, strategies, success11 Comments on Isolation & Loneliness: Which One Is More Damaging to Our Long-term Health? Shame and Guilt: Which One is Helpful, and How Can We Effectively Manage These Difficult Emotions? Posted byDr Damon Ashworth October 30, 2017 February 25, 2018 Posted inPsychologyTags: Australia, challenges, Depression, emotions, growth, Happiness, Insights, life, mental health, Psychology, relationships, Self-help, strategies, success, therapy, treatment10 Comments on Shame and Guilt: Which One is Helpful, and How Can We Effectively Manage These Difficult Emotions? How High is Your Physical Intelligence? Posted byDr Damon Ashworth October 24, 2017 February 25, 2018 Posted inPsychologyTags: Australia, challenges, character development, emotions, growth, Happiness, Insights, intelligence, life, Psychology, relationships, Self-help, senses, strategies, success2 Comments on How High is Your Physical Intelligence?